The Datalogic PowerScan PM8300, featuring the STAR Cordless System for narrow band radio communications, represents the key to increased productivity and flexibility in the workplace. It offers scalable solutions to solve simple point-to-point applications as well as networking capability combined with seamless roaming for complex projects. An optional display with a 3-button keypad provides time and battery status and enables interaction with the host. 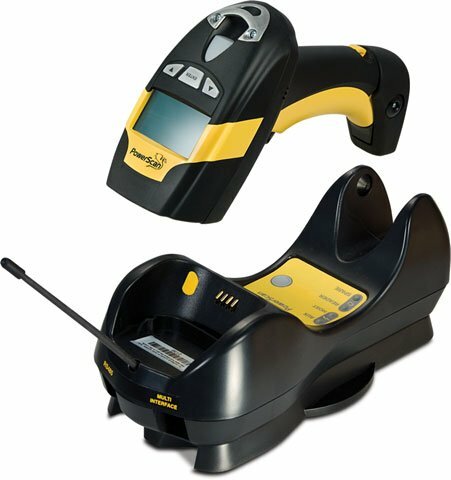 The PowerScan PM8300 readers' mechanics have been developed and tested to withstand extreme environmental conditions maintaining consistent reading performance. Hard shocks (6.5 ft. / 2 m drops), dust and water (IP65/IP64 sealed) and adverse temperature conditions (operative at -22F / -30C) do not affect product performance or reliability. The Datalogic PM8300-D910-RS232-KIT is also known as Data Logic	PM8300-D910-RS232-KIT	or PM8300D910RS232KIT	.